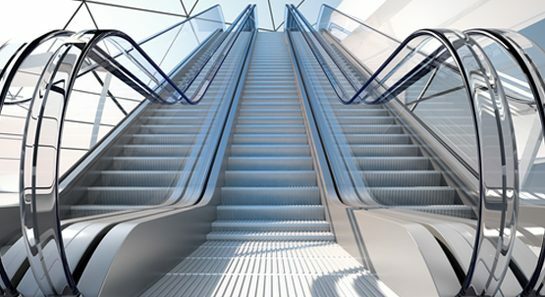 We manufacture, install, modernize and maintain elevators, escalators, modernizations, transit management and moving walkways. The heart of our business is problem solving. Whether a customer needs a sophisticated elevator system for the taller building, patients travel lifts for a hospital or a simple lift for a two-story home, we are dedicated to providing the safest, most reliable solutions possible. Qube Elevators help passengers reach their floors quickly, comfortably, and safely. Qube Elevators offers escalators,elevators and modernizations for all types of office buildings. Qube Elevators understands that elevators and escalators must provide accessible, safe and hygienic rides. "I'm very happy to refer Qube Elevators and work. They have taken care of my needs and have delivered more than my expectation. I take this opportunity to thank Qube Elevators for professional service." "This is my letter of appreciation for the wonderful job by M/S Qube Elevators. They have installed lifts to two storey building and have done very well. I thank you once again." Qube Elevators is one of the emerging service provider of elevators, escalators, modernizations, transit management and moving walkways. Qube Elevators are trusted by world class architects,contractors, developers and homeowners. Qube Elevators is a rare combination of elements that never has to complete a ride without having heard a compliment. It belongs to that generation of elevators that being the beat of German tech. We rely too much on precision engineering and safely. So no compliment will go to our head. That’s a guarantee. Prepare to find out what makes us the best ride up or down. Copyright 2016. Qube Elevators Pvt. Ltd.
Powered by Trikore Software Solutions (P) Ltd.